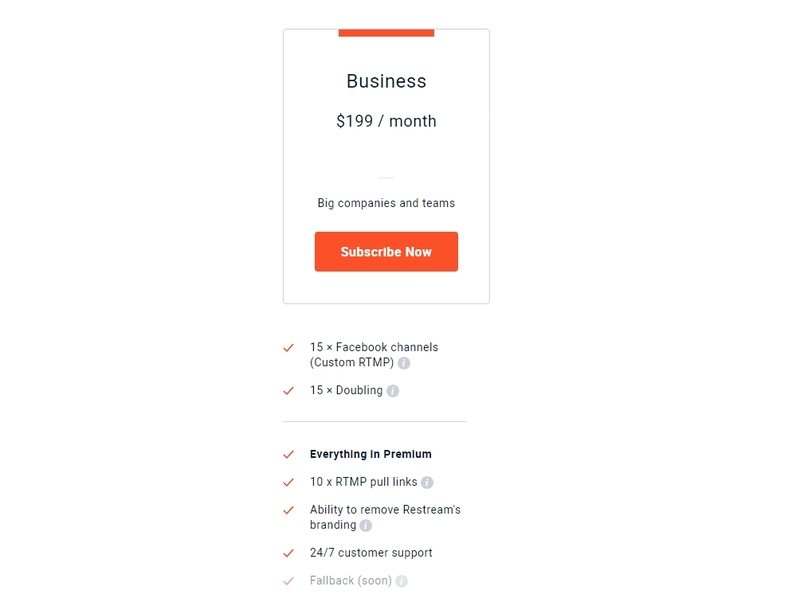 With Restream Business subscription plan you get all the possible tools to bring your business (would it be Esport organization, league, consulting service or any other type of company) to a quality new level. This plan is most popular among the medium and big companies. Fallback option - this will allow you to keep your stream even when it's disconnects or crushing. Tip: If this is not enough for you, it's time to switch to our Enterprise service.